This lamp has all of the newly-developed technical features such as CPO (Compound Path Optics) and TRS (Thermal Recovery System). 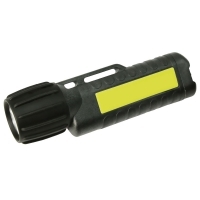 It is a powerful lamp in the UK product range, with luminous power of 110 lumen. The lamp is equipped with a rubberized front switch that is easy to operate with your thumb. In combination with its extremely bright light, this also makes the lamp an interesting alternative for security forces. Of course, this lamp also has the option of switching on and off by rotating the top of the lamp. Super helle Helmlampe, schnelle Lieferung. Absolut empfehlenswert. Sehr gute Qualität und sehr schnelle Lieferung. Ich bin sehr zufrieden und die Lichtausbeute ist auch hervorragend. Sehr zu empfehlendes Produkt.